Patients who lose one or more teeth and don’t replace them are at a higher risk of experiencing more severe or complete tooth loss later in life. Known as complete edentulism, an empty upper and/or lower dental ridge can severely affect your oral and overall health. Full dentures have been a vital part of prosthodontic dentistry for centuries. Today, they continue to help patients regain a better quality of life by restoring their smiles and the functionality of their bites. A full denture consists of an entire row of lifelike replacement teeth for your upper or lower dental ridge. The teeth are situated on a gum-colored plastic base designed to fit comfortably and snugly on your dental ridge. 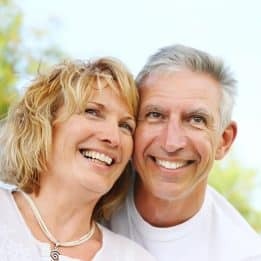 Full dentures can give you a new lease on life in several ways, from improving your confidence in your personal and professional life to making it possible to consume an adequate amount of healthy foods. 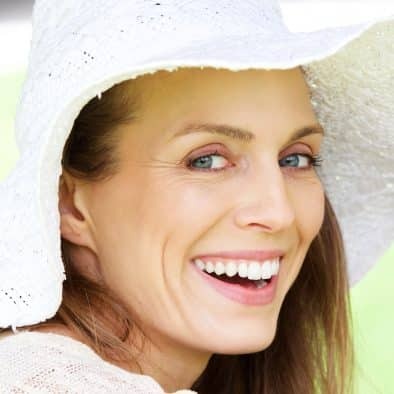 While traditional dentures can successfully reestablish your smile and your bite, they are even more effective when placed on a series of dental implants. Serving as prosthetic teeth roots, dental implants are small, titanium posts that are surgically inserted into your jawbone. As your jawbone heals, it grows to the implant post, which can then be used to anchor your full denture securely in place. In addition to unmatched support and stability, implants also offer the benefit of reestablishing stimulation in your jawbone to improve its strength and integrity. If you’ve suffered complete tooth loss on your upper and/or lower dental ridge, then talk to your dentist about the right denture option during your next visit. To learn more, schedule a consultation with one of our experts by calling the My Dentist office in Londonderry, NH, today at (603) 965-3407.